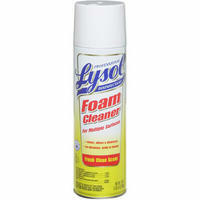 Lysol Professional Foam Cleaner and Disinfectant. Professional strength with fresh scent. Keep your office clean and sanitized!